We can not adjust the size of this ring. 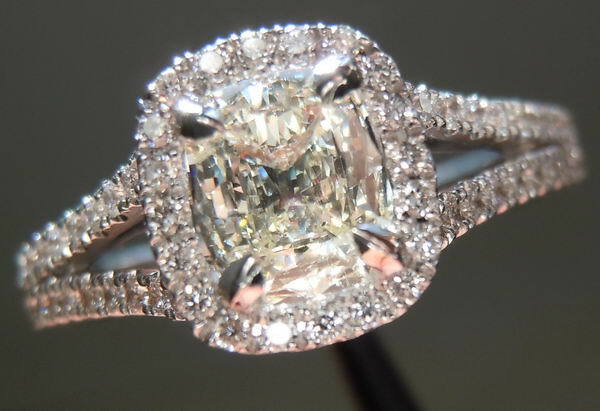 Here we have a beautiful cushion cut diamond halo ring. The cushion cut diamond has a great cut - full of life and sparkle. It does have a hint of warmth to it that is apparent in some of the photos. 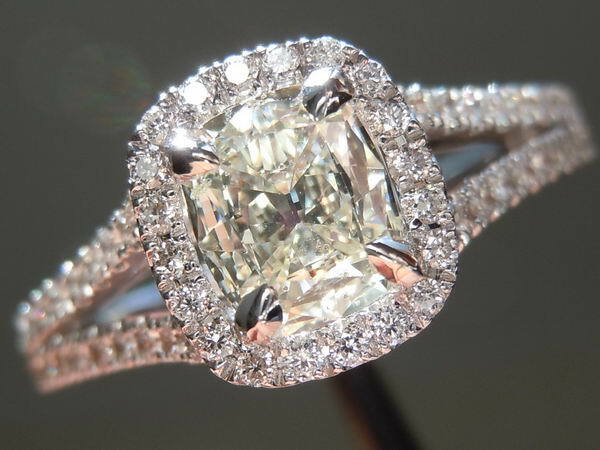 I personally find this color to be stunning and love the little bit of contrast you get between the center stone and the side stones. 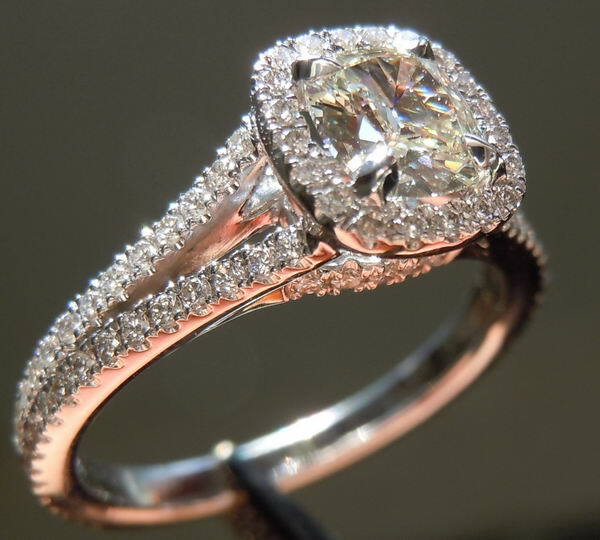 This ring is well made with a very feminine feel. 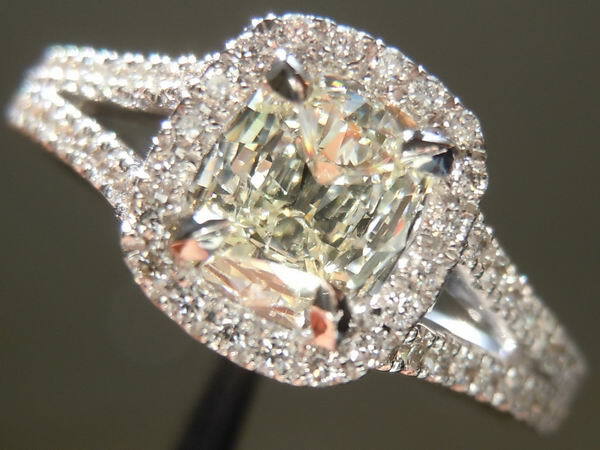 The ring has a very fluid feel to it with graceful lines. 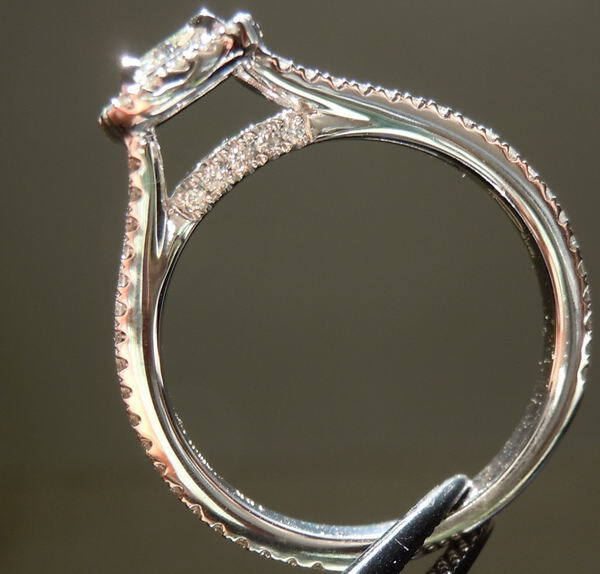 The split shank is covered with well cut diamonds giving off sparkle from all angles. 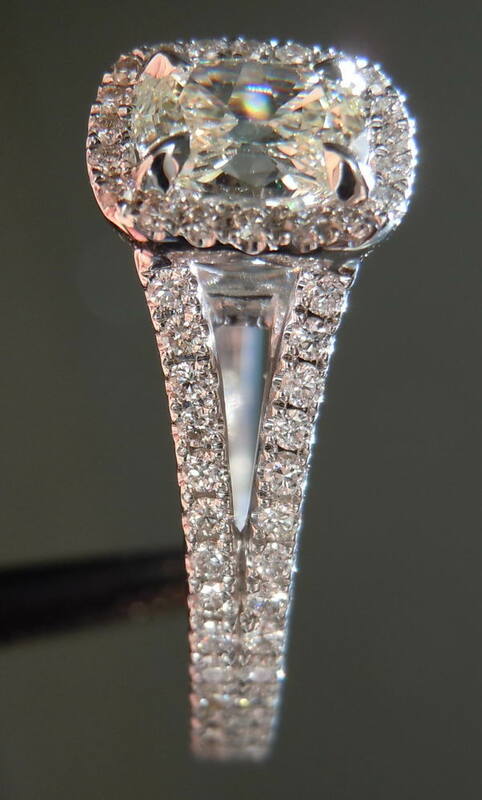 Even from the side view you get a hint of spakle with diamond set into the side. It's a very lovely ring at a great price!